Epson’s aptly named PictureMate Charm PM225 snapshot printer gets by on just that: It does what it does nicely—though not very quickly. It’s not as versatile as other snapshot printers, but on the other hand, it offers better print quality at a lower cost for the consumables. The PictureMate Charm required anywhere from 54 to 70 seconds to print each of our 4-by-6-inch test prints, but they were worth the wait. It produced flesh tones that looked healthy and normal, it handled both fast-motion and landscape shots with aplomb, and it balanced lights and darks evenly in monochrome images. The on-board editing options are limited to a few layouts, borders, and automated corrections based on image type (such as a night scene or a landscape). After installing the printer drivers on a Mac, a few complications can occur when it comes to editing options. Because you can set different preferences during page setup of the printer driver and through the PictureMate Charm itself, the printer will most likely take the computer’s word than its own. Therefore, even if you hit the preview option before printing, it is a good idea to keep track of your picture settings and where you selected them (whether through your Mac or the PictureMate Charm) so it comes out exactly the way you want it. Working with iPhoto gets even more difficult due to the program’s plethora of options, so you have to verify you do not set any contradictory settings. The features on this snapshot printer are basic but well executed. It has a 20-sheet input tray for just 4-by-6-inch media. Sheets exit onto the flip-out front panel. Inside the front panel you’ll find two media slots for CompactFlash, Memory Stick, SD Card, and XD-Picture Card. A PictBridge port is in back. A Bluetooth option costs $39. When you insert a media card into the printer, on-screen prompts walk you through the process of choosing and adjusting an image before you print it. The 2.5-inch, tiltable color LCD works with a row of eight buttons, all of which are labeled and largely intuitive. It’s just a bit hard to tell how to cancel or back out of an option sometimes; the Stop/Clear button handles all such matters, but I was looking for a Back button. The ink prices are great, and one of the highlights of Epson snapshot printers in general. 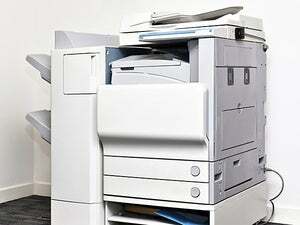 The machine ships with a starter ink cartridge that prints up to 20 images. The PM 225 Compact Photo Printer PictureMate 200 Series Print Pack produces up to 150 photos using the included ink cartridge and paper. At $38 a pack, that’s a cool 25 cents per photo—better than all other brands of snapshot printer we’ve tested. The Epson PictureMate Charm PM 225 is not as versatile as other snapshot-printer contenders, but it functions well at what it does. It’s also cheap to buy and refill, which is a trade-off worth considering.